Paris 17th – Parc Monceau. On the 2nd floor in a luxury 1900 building, family 235 sq.m. apartment with elegant high ceilings, 6-room. Its comprises: a spacious entrance, a 61 sq.m. double living room, a dining room, an eat-in kitchen, a master bedroom with dressing room and bathroom, 2 bedrooms with shower room. 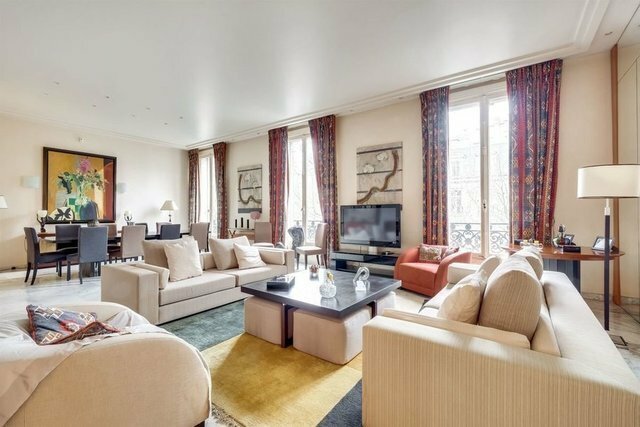 Privileged environment for this exceptional apartment close to Parc Monceau and public transports. Paris Ouest Sotheby’s International Realty.